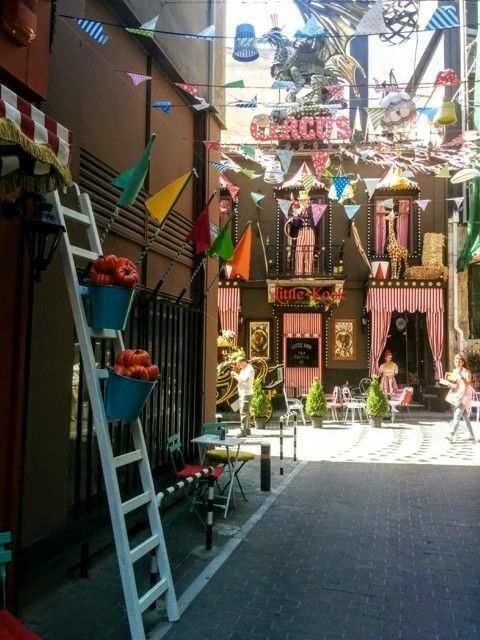 Themed cafes are a rage in various parts of the world, Athens has one too! 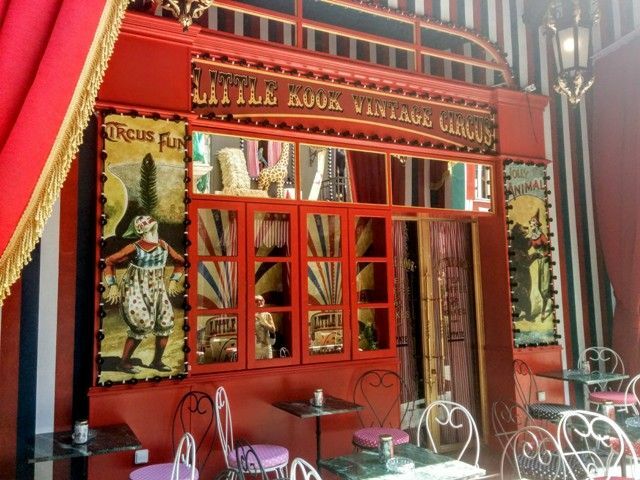 Read on about Little KooK, our favorite fairytale themed cafe in Greece. 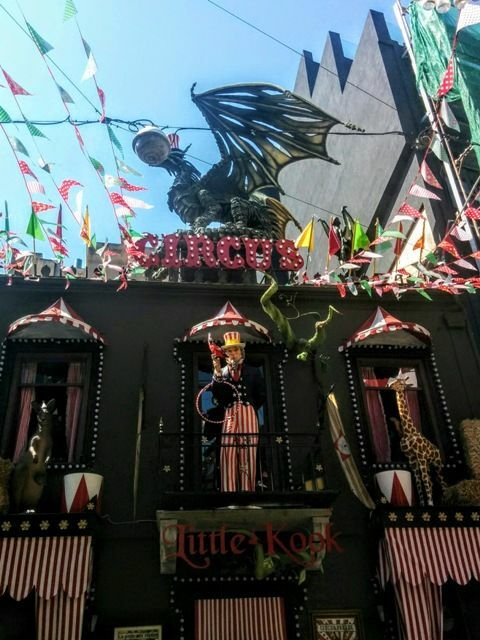 Little KooK themed cafe and the decorative buildings belonging to it are located in the hip neighborhood of Psiri in the center of Athens between Monastiraki and Thission metro stations. Psiri neighborhood and especially the Karaiskaki alley are an attraction on its own and not possible to miss. 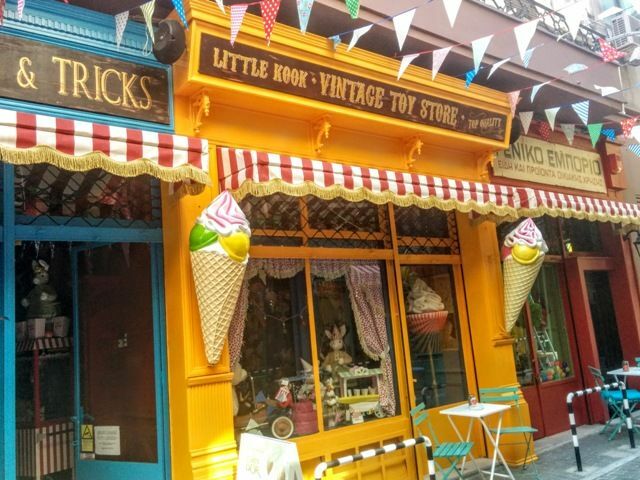 The colorful lights, statues, original street lamps, a circus tent, displays of toys in fairytale-like shop windows full of vintage objects are amazing. This crazy mix of decorations passes all the way down the main street. My kids always love going through this street. 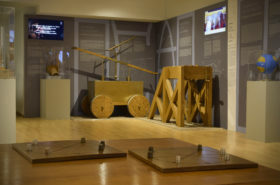 There is so much to see. It is almost like a movie set. A monkey hanging on the facade, pastel colors everywhere, street art and even a circus tent. 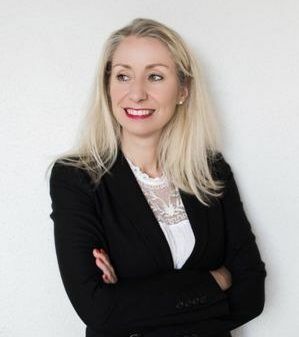 Deze blog is ook in het Nederlands beschikbaar. 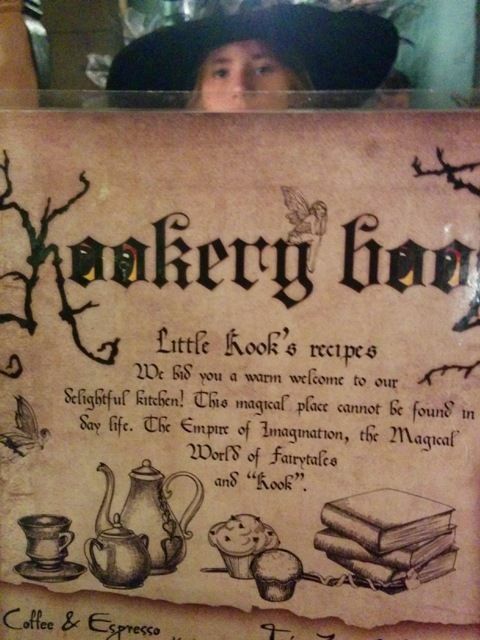 The Little KooK Themed Cafe is easy to spot too. 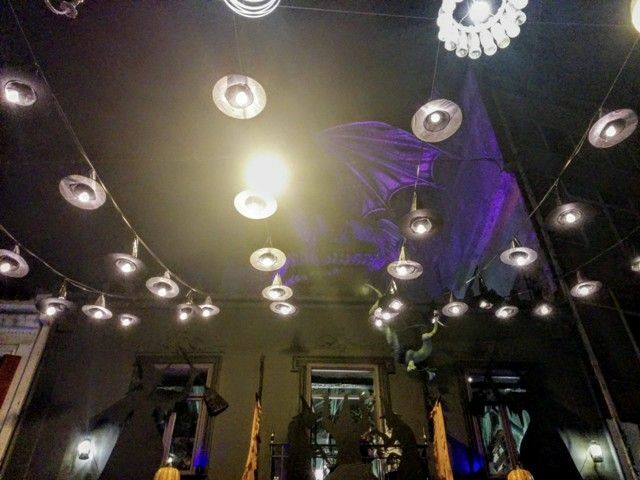 A large dragon has been sitting on its roof since opening day and is shining mysterious lights in the night. 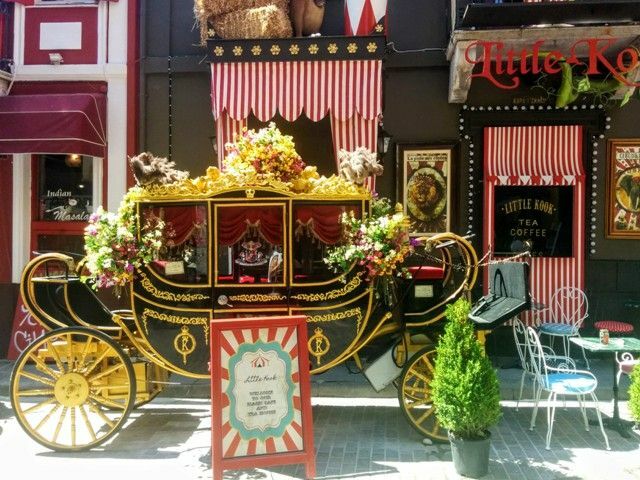 A carriage outside and a very colorful facade invites you to step inside. The personnel of Little KooK is dressed up according to the theme of the season and are often outside welcoming their (young) guests. The decor is changed periodically. 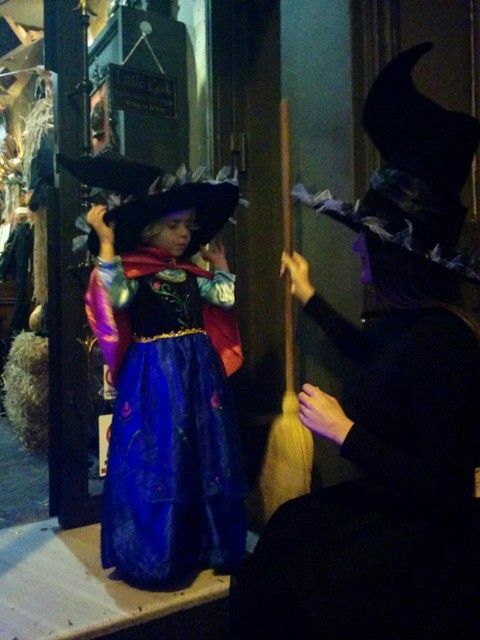 During Halloween, the alley and facade were decorated with pumpkins and witches. At Christmas time my kids were expecting to see Santa stepping out himself. Each holiday season, the decorations of Little KooK themed cafe, both outside and in, exceed our expectations. The building hosting Little KooK could have been the main motivation for creating a unique A Christmas Tale/Alice in Wonderland-like concept attempting to bring you to another world. 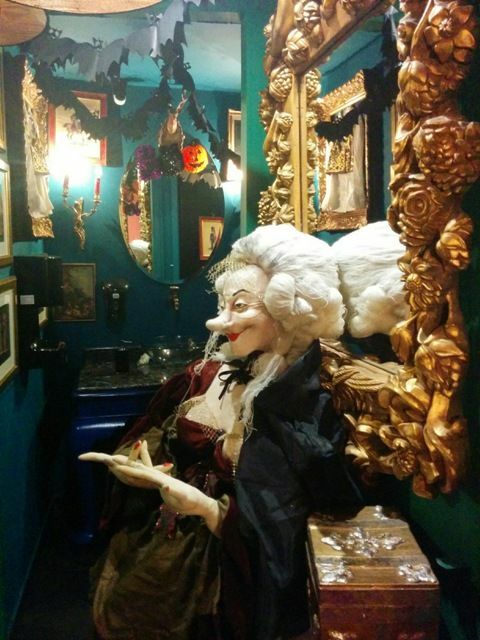 The themed cafe has several floors divided into small rooms with decorated staircases, walls, hidden corners and mysteriously shaped shrubs. 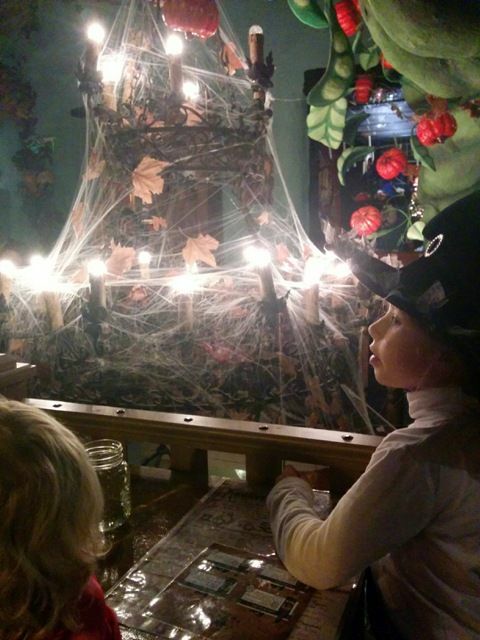 Fireplaces where witches cook spiders and weird looking dolls. The dimmed lights and high ceilings give off a mysterious and romantic vibe. Inside is more of the same but MORE. Every surface is covered with objects, from the beautiful to the bizarre. Every bit of space has been taken up. This is the reason I find the tables and sitting spaces rather small. Coffee and desserts are a bit pricey but the large servings and the whole experience makes up for that. The cafe can get very crowded, especially during the holidays and evenings. Try to avoid busy times if you want to have a choice in where to sit. Besides coffee, hot chocolate, juices and (alcoholic) drinks, Little KooK serves mostly cakes, cupcakes, and crepes. I am a savory person and I have only tried the crepe with cream cheese and salmon. The portion was huge. 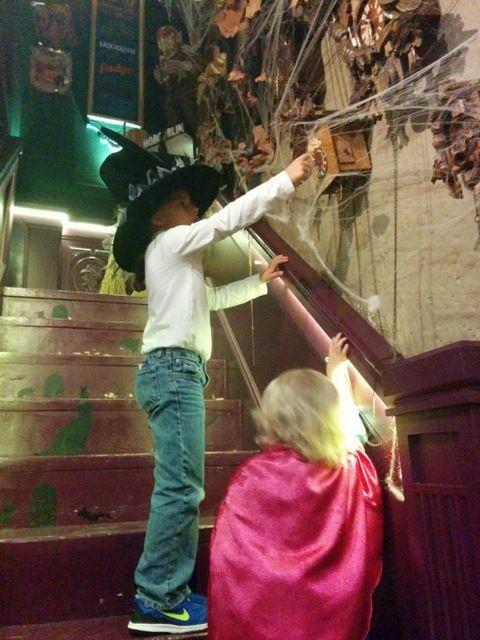 My children have tried different sweets on our many visits and have loved all of them. Drinks were served in creative glasses fitting the theme. Little KooK themed cafe is amazing for kids but not exclusively. Our most recent visit was in the evening in October. 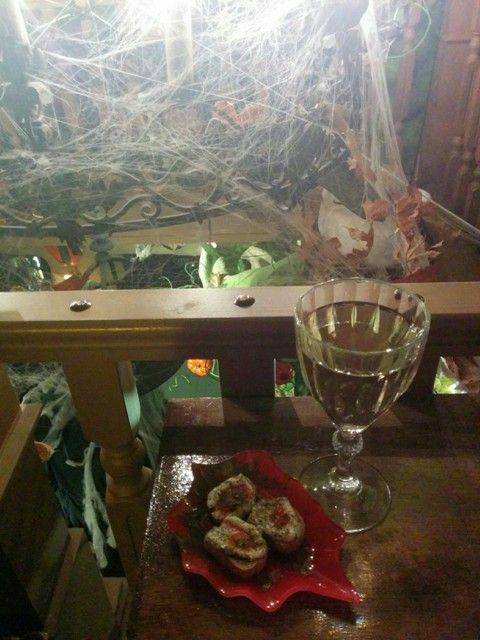 I enjoyed a glass of wine whilst the girls were trying to read the spooky menu. The crowd was mixed. Locals and tourists like Little Kook and I saw many young people sitting around having a beer. I had a glass of wine and my children tried the hot chocolate. My wine was accompanied with some complimentary bruschetta. Little KooK themed cafe is open each day from 11 in the morning until 12 at midnight. Planning a trip to Little Kook and putting our fancy dress on, especially during Halloween, Christmas, and Carnival. Sitting outside in summer and watching people from all over the world passing by. Stepping into ‘fantasy land’ in the middle of the hustle and bustle of our Athens. The giant beanstalk popping through each window, making my girls feel like Jack each time. We love the quirkiness inside and out and the kind personnel always being so sweet to my children and making every visit very special. And last but not least: the special surprise performances throughout the evening. 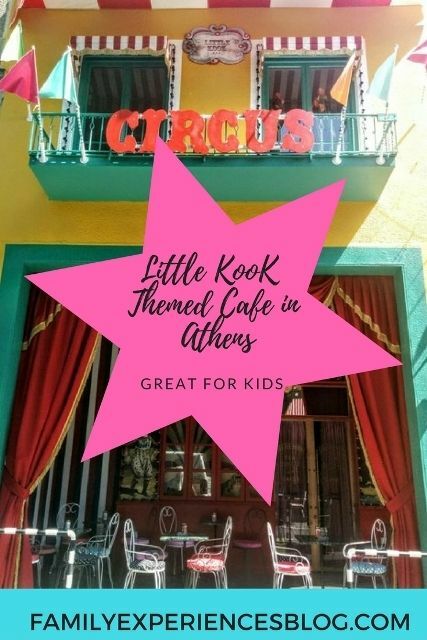 Little KooK themed cafe is one of the most magical places in Athens for kids and definitely worth a visit while on holiday in Athens. 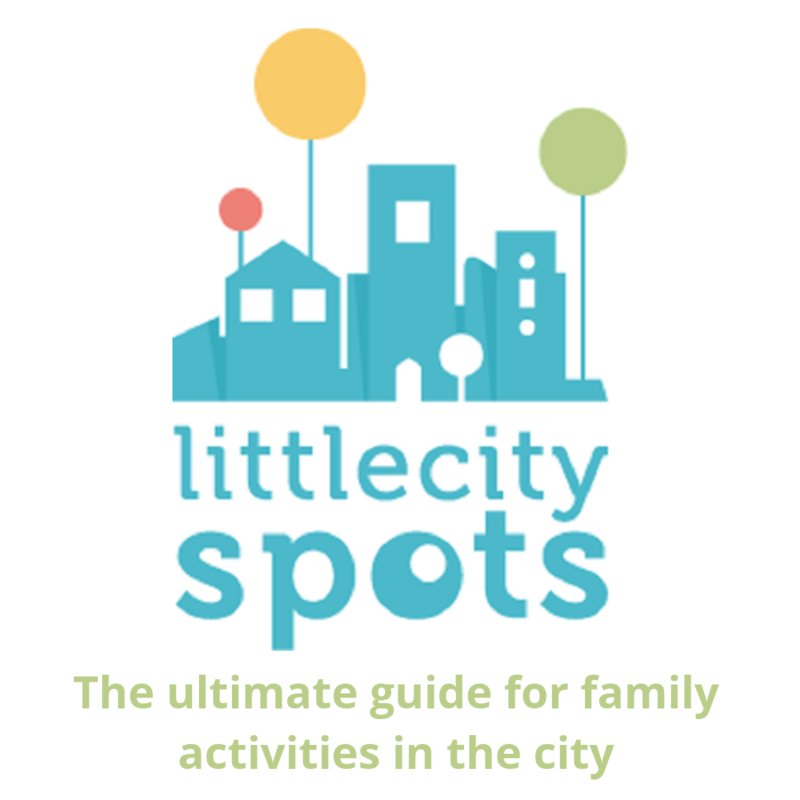 For more inspiration on Athens with Kids, check out my blog post with a list of my favorite things-to-do in Athens with Kids.